One of my goals for the year was to read more translated literature. I have worked with Le French Book in the past by hosting a number of their authors. So when they offered a few of their titles on Netgalley in advance of the print releases, I decided to give them a try. 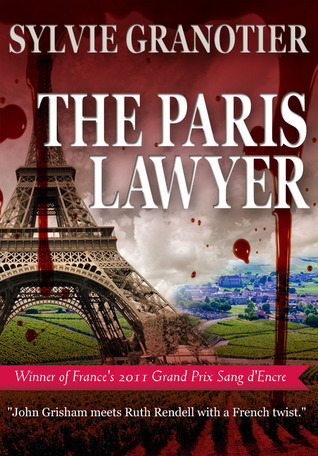 The first one was The Paris Lawyer by Sylvie Granotier. It is a crime novel with an intriguing plot. Catherine is a Parisian lawyer that grew up motherless. Her father, in hopes of shielding her, refused to discuss any details of her mother. Her mother was brutally murder while on a stroll with her. She was only about four at the time. However, that which we keep hidden often have a funny way of becoming revealed. Wanting to make a name for herself, Catherine takes on a client in an outlying area - the woman is accused of murdering her husband. The town is near where Catherine lived at as a child. This is only one of the many coincidences when her past and present intersects. Not all are mere acts of fate, some are orchestrated by those in the present seeking to rectify the past, perhaps. While the plot was intriguing, I found the main character annoying. Though I tried, I just couldn't make a connection with her. It may have been because the character herself is emotionally closed off. However, she felt to full of herself, too self absorbed for me to empathize with her. Though towards the end of the book I did find that I had some sympathy for her and did understand some of why she was the way she was. The book is also a dense read. It took me quite a while to read the story (nearly a month). It was not a quick tale of suspense. And sometimes I felt that the story had lost its way. There were a lot of details, but at the same time it felt that the true mysteries - Catherine's mother's murder and who killed her client's husband - were limited in detail. I kept having flashbacks to Mrs. Dalloway. I don't think it was truly stream of consciousness, but there was a bit of that or at the least abrupt transitions. Also, when characters were relaying information it was not kept as dialogue. The first couple of times it happened I thought I missed something. After the third or so time it happened it started to feel like the television shows where they fade away from the present conversation and do the action in the flashback (do you know what I'm talking about?) But even then it was just prose. The large blocks of text read more like a news story than a novel. Once I got use to the writing style, the readability picked up some and I got more into the story. The combination of not connecting with character and the writing style left me just feeling so-so about The Paris Lawyer. I think it had some strong points, but not enough to wow me. Will I try more books from Le French Book? Yes. I want to see if it some nuance of French writing that I don't like or maybe I need to become comfortable with it to fully enjoy the stories. Should you read The Paris Lawyer? Yes. It was interesting to see some of the French legal system. And I feel a little more cultured having read translated fiction. Most of the stories I read are set in the US or UK, or historical Europe and even then it usually eastern Europe. If you like 3rd person stories that mostly follow the thoughts of the characters, then this book may be just your thing. Donna Huber is an avid reader and natural encourager. She is the founder of Girl Who Reads and the author of how-to marketing book Secrets to a Successful Blog Tour. She reads most genres (NO horror or erotica), but her favorite books are psychological thrillers and stories that highlight the survival of the human spirit against unbelievable circumstances. Girl Who Reads is an Amazon advertising affiliate; a small fee is earned when purchases are made at Amazon through the links above. 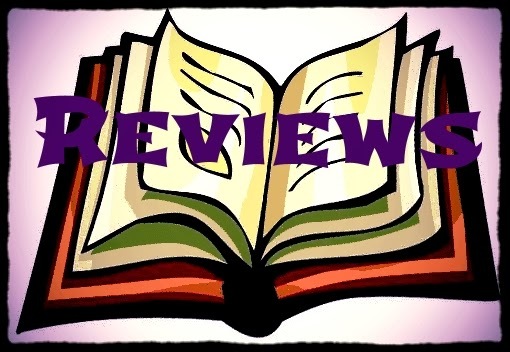 A free e-galley was provided for this review. I also read Shadow Ritual by Eric Giacometti and The Bleiberg Project by David Khara. I really liked Khara's novel. I also have one at Netgalley to read and it might be Molay.